Whether you’re looking for a great place for a kid’s birthday party or just looking to bounce the day away, you will not be disappointed by this inflatable, indoor kid’s park! Feel like you’re on top of the world when you climb to the top of Bowman’s Hill Tower. 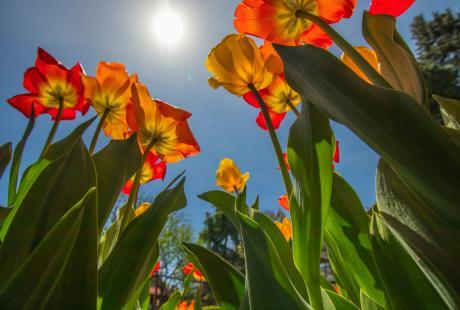 Then enjoy the beautiful scenery while picnicking in Washington Crossing Historic Park and hiking through 134-acres of Bowman’s Hill Wildflower Preserve. This is your one-stop-shop for arcade games, laser tag and bowling! Don’t forget to keep score as you and the family bowl one of their 48 all-star lanes. Game on! 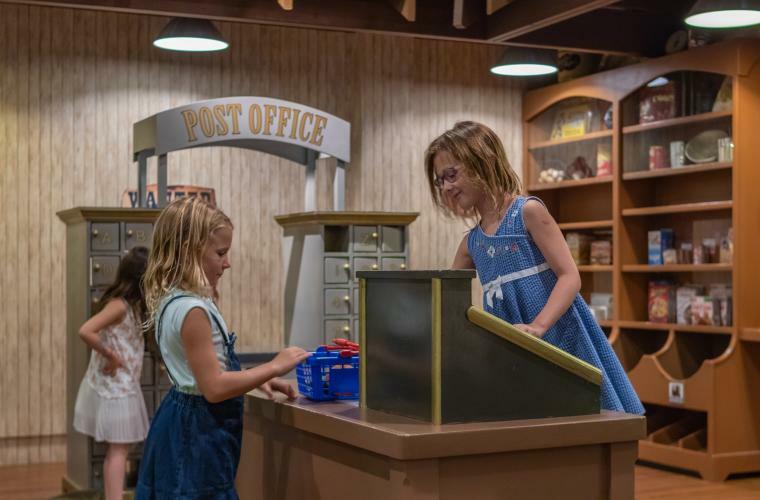 With 10,000-square-feet of fun, the Children’s Museum is a space where your kids can climb the High Rocks Vista rock wall, work in a general store, pretend to be a "junior doctor," dig for buried fossils and so much more! 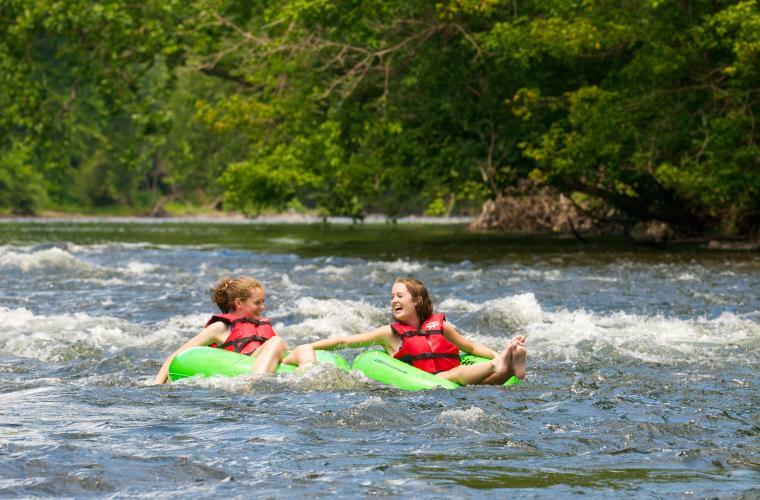 Enjoy a scenic ride down the Delaware River with the entire family at this popular summertime stop. Take a two, three or four hour trip down the river, stopping at The Famous River Hot Dog Man for a quick bit downstream. Located in the center of Bucks County, Carousel Village has been a hub for shopping and family fun for decades. Shop at the organic market and other variety shops. Then take a ride on the authentic Herschell Spillman Carousel (circa 1890)! 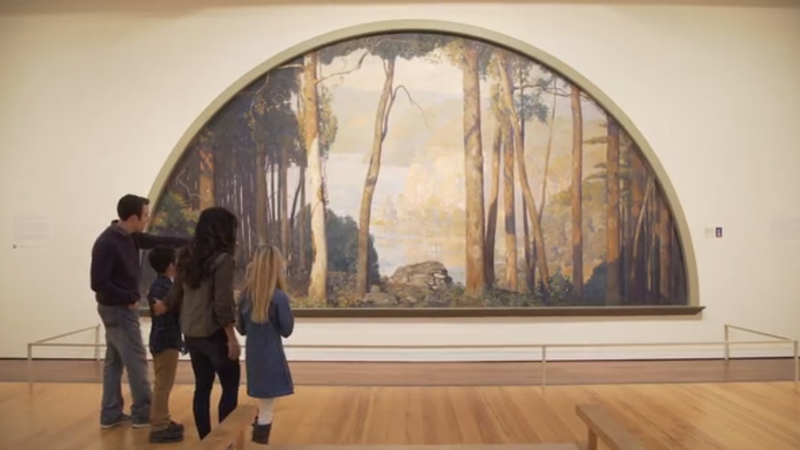 Bucks County is home to many grand and beautiful theatres which offer children’s programs. Check out Bucks County Playhouse in New Hope, Bristol Riverside Theatre in Bristol or Newton Theatre in Newtown. 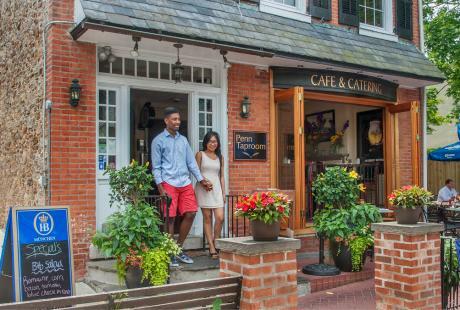 Located in Doylestown, County Theater is community-based theater and specializes in independent, art and foreign films that originally opened in 1938. Also, check out their Saturday kid’s matinees. The only indoor rock climbing facility in Bucks County is located in Doylestown. Packages for all ages and ability levels are offered as well as walk-in packages, climbing lessons and adaptive climbing. Located in Peddler’s Village, Giggleberry Fair is Bucks County’s one-and-only indoor obstacle course that is three stories high! Kids can spend time running through the levels, riding the grand carousel, winning prizes from the arcade and eating at the Painted Pony Café, while adults can relax in the parents lounge. If you’re looking for something sweet, follow the one-and-only Ice Cream Trail! Taste the County’s delicious treats along the 14 stops. From Owowcow to Zebra Striped Whale in Newtown, Nina’s Waffles in Doylestown, Peddler&apos;s Village, Newtown and New Hope, and Uncle Dave’s in Yardley. 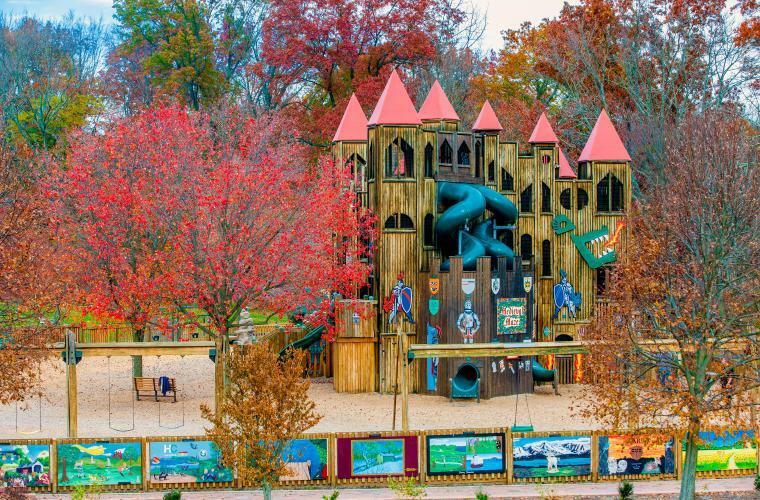 Located in Doylestown’s Central Park, Kid’s Castle is a kid’s dream come true! Climb and play on this eight-story wooden playground complete with slides, swings, a treehouse and a rocket ship. Housed in the Mercer Museum are more than 40,000 American artifacts, including a Conestoga wagon and horse-drawn carriages. Take a tower tour of Fonthill Castle, another castle along the Mercer Mile, where you&apos;ll climb many steps to hidden rooms filled with beautiful tiles. Originally built in the 19th century as the Bucks County prison, this attraction was transformed into an independent, non-profit cultural institution that exhibits arts, has a café and gift shop and offers various family-themed activities and other programs all year-round! This National Historic Landmark is considered a “working history” museum where handmade tiles are still produced. Explore a piece of Bucks County’s history on a self-guided tour and get the chance to purchase handmade reissues of tiles and mosaics. 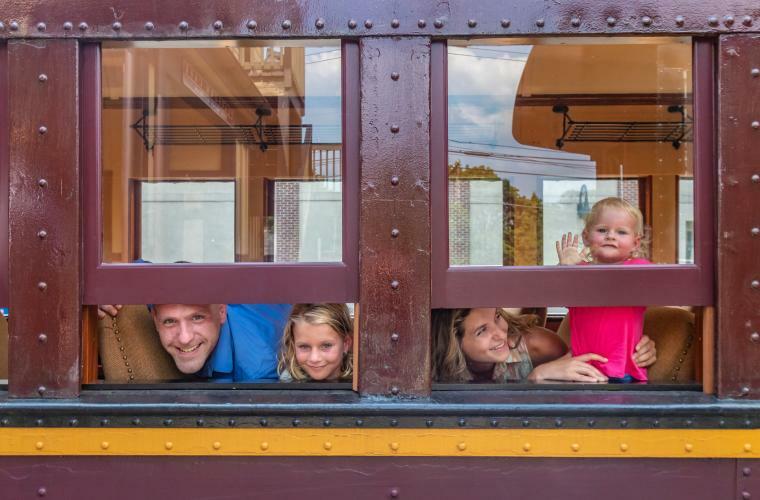 Step back into the golden age of rail travel by taking a ride on the New Hope & Ivyland Railroad. 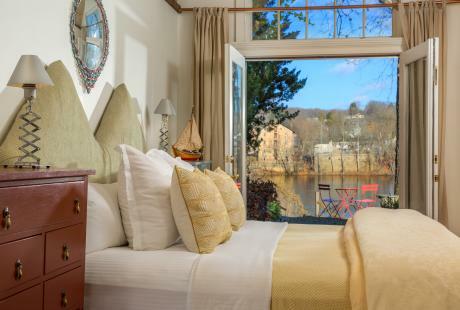 View the beautiful scenery as it passes through the Bucks County countryside. 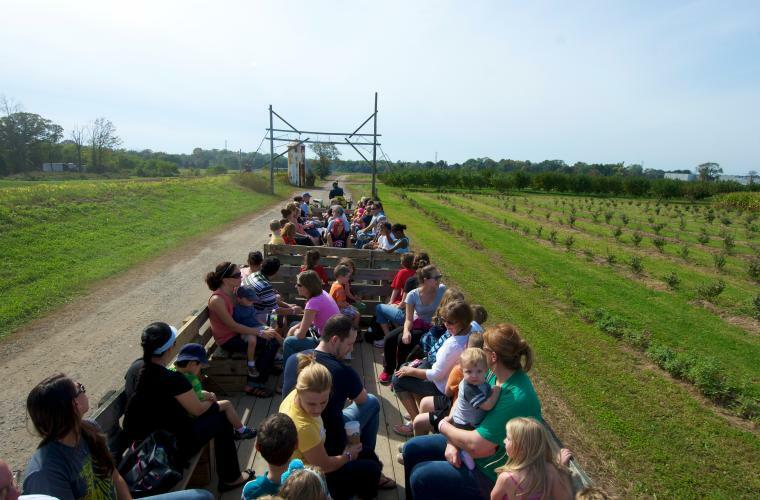 Check their schedule for family-friendly excursions, like the Wildflower Express. 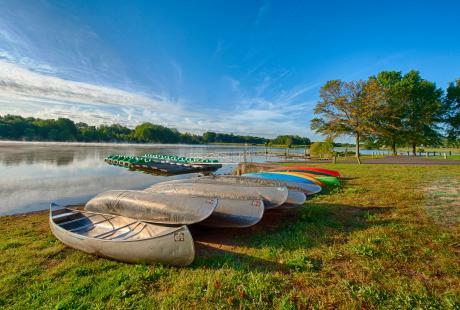 This 5,286-acre park is inclusive of Tohickon Creek, Three Mile Run, Haycock Run and Lake Nockamixon. Go swimming, picnic, bike, hike, fish, ice skate, sled and more with your family. 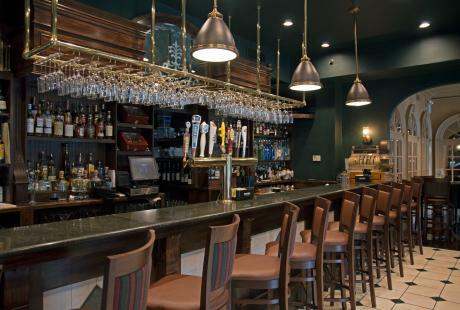 Jump back to the 17th century and enjoy this historic Bucks County landmark! 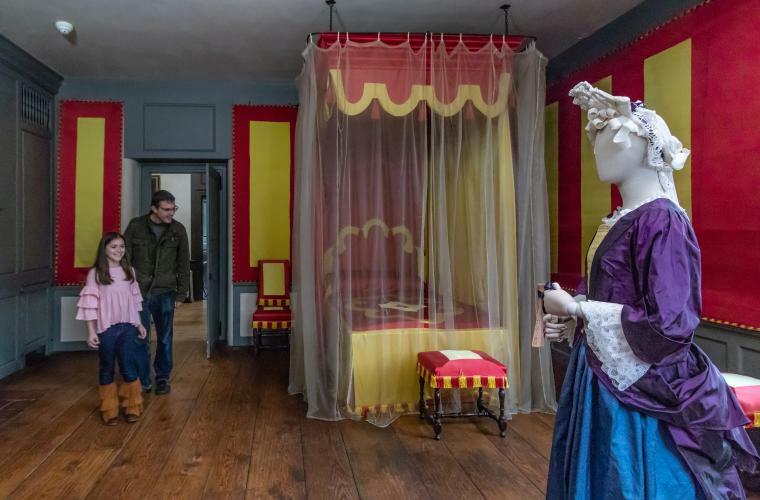 Pennsbury Manor is a reconstruction of the founder of Pennsylvania William Penn’s summer home on the Delaware River. Go explore the attraction’s 43-acres filled with gardens, stables, outbuildings and manor house. Ringing Rocks Park is a great place for wilderness exploring. Bring your hammer and listen to the mysterious ringing of the boulder fields when the rocks are struck. Located by Oxford Valley Mall, Sesame Place is a popular theme park for kids. 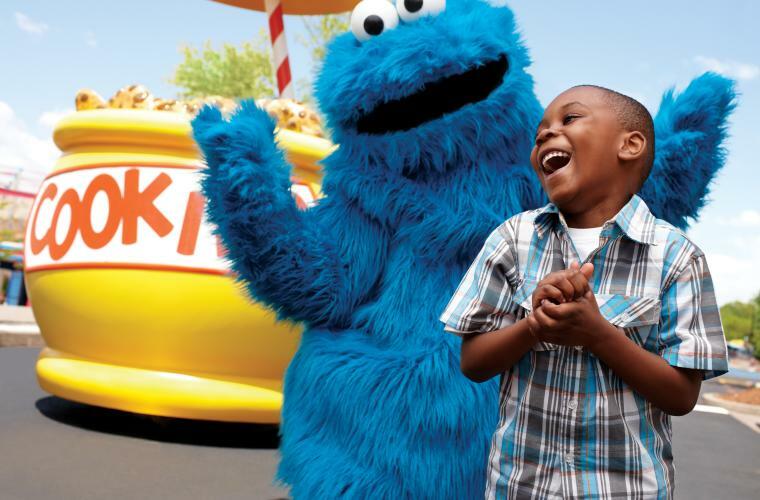 Meet Elmo, Big Bird, Grover and many more Sesame Street characters. Enjoy rides like Oscar&apos;s Wacky Taxi, shows and parades. Established more than 100 years ago, Shady Brook Farm always has a fun event scheduled, whether it’s the Holiday Light Show, HorrorFest or PumpkinFest.You can also enjoy Uncle Dave’s Homemade Ice Cream and get the chance to pick some fresh fruits and veggies! Visit “The Best Candy Store in Bucks County” and satisfy your sweet tooth! Enjoy fudge, gourmet pretzel and candied apples, as well as other nostalgic candies. Get ready to jump, play on the SkySlam courts, play Ultimate Dodgeball or take a SkyFit fitness class at the world’s first indoor trampoline park. 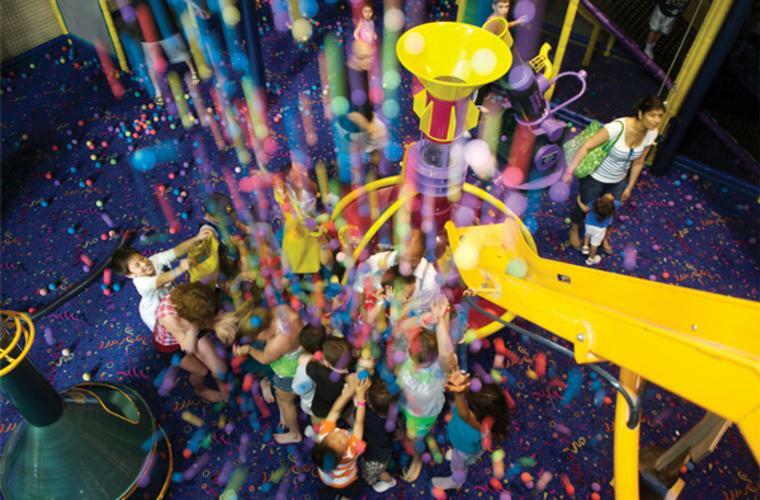 Go have fun and defy gravity with your kids! Snipes offers various hands-on learning about farming and nature. Experience their Fall Harvest weekends, visit the animals and become one with nature here! Filled with rich American history, Washington Crossing Historic Park is a great place to learn, explore and have fun with the kids! See the place where George Washington and his men crossed the Delaware River in 1776 or experience one of their events such as George Washington&apos;s Birthday or their Fourth of July Celebration.